Keokuk, home to the largest US Lock and Dam #19 on the Mississippi River and is the National Register for Historic places. 61 quiet King, Queen and Double rooms including Executive Suites and Handicapped Rooms. 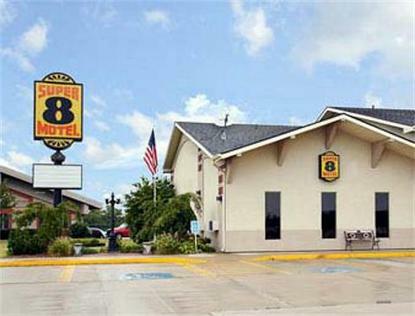 Pride of Super 8 Complimentary High Speed Wireless Internet in all guestrooms and public areas. Fitness Center with Treadmill and 15 point Workout Station. Guest Laundry Complimentary Super Start Breakfast. Complimentary Coffee and Tea available. Children 18 and under stay free with an adult. Interior Corridor with Electronic Locks. 24 hour front desk Fax and Copy Service Pets Welcome with Permission - $10.00 per day. Managed by Supertel Hospitality.